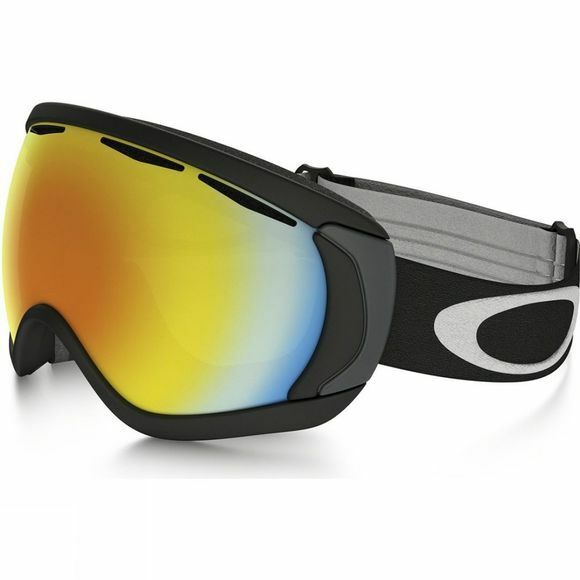 This large lens goggle lets you see all around without compromising on a great fit. The Oakley Canopy stays comfortable underneath your helmet, with easy airflow from the Oakley O-Flow Arch and temple notches to let you wear them over glasses and eyewear. Oakley equipped the Canopy with high definition optics, F3 anti fog, a Prizm Lens and dual lens ventilation to name just a few features.